Currently we can see a significant growth of the EUR/USD currency pair, and judging by the RSI indicator the price is back to the trend’s broken line. We should expect the price to move downwards. Also, at the RSI there is a potential for “failure swing” reversal pattern to be formed with the final target at the level of 1.4225. After the price is corrected to the channel’s lower border, the area of 1.4100, one can consider buying Euro during a long tern period. But if the price breaks the resistance level in the area of 1.4520, and the RSI indicator grows higher than 70, this case scenario will be cancelled and we should expect the pair to grow to the level of 1.4985. 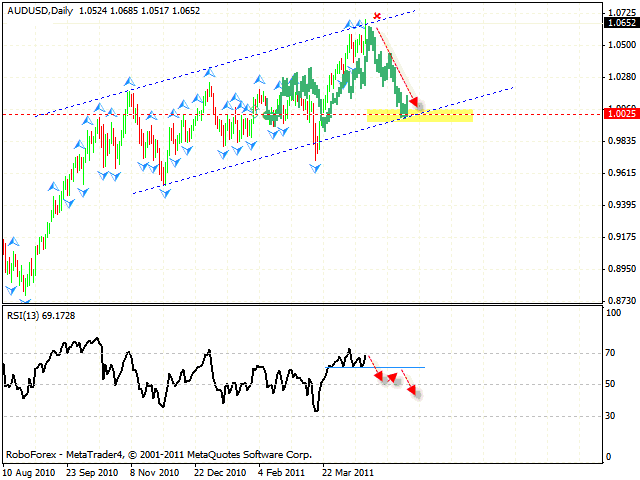 In case of the EUR/GBP currency pair we have a situation that confirms the scenario described above. We can see the formation of “head & shoulders” reversal pattern with the target in the area of 0.8540. The target of the 5th point of reference is the level of 0.8590, which may be a starting point of the pair’s growth. 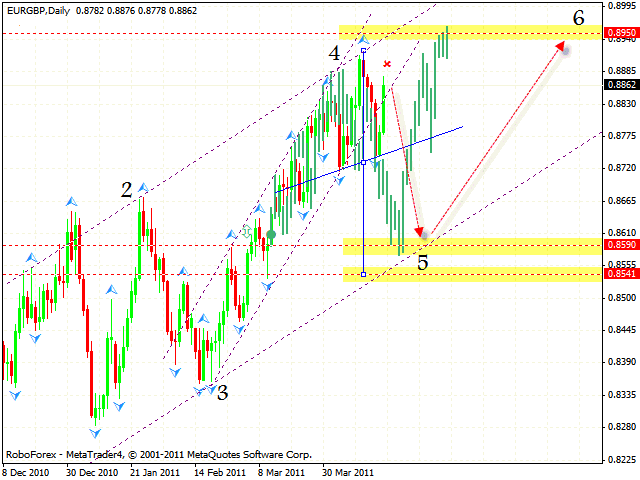 The general target of the rising pattern is the area of 0.8950. 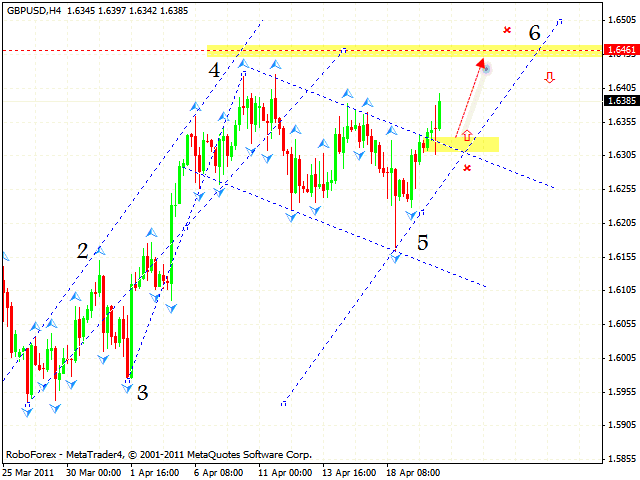 One can consider selling the pair at current prices with the tight stop of about 30-50 pips. Judging by the analysis of the GBP/USD currency pair, we should expect Pound to grow to the level of 1.6461. 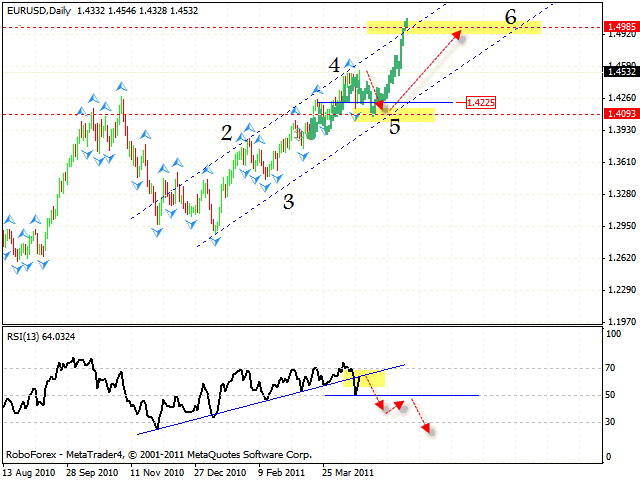 One can consider buying the pair with the tight stop from the area of 1.6325. If the price breaks the channel’s lower border, this case scenario will be cancelled. In case of Franc the reversal pattern has not been completely formed. 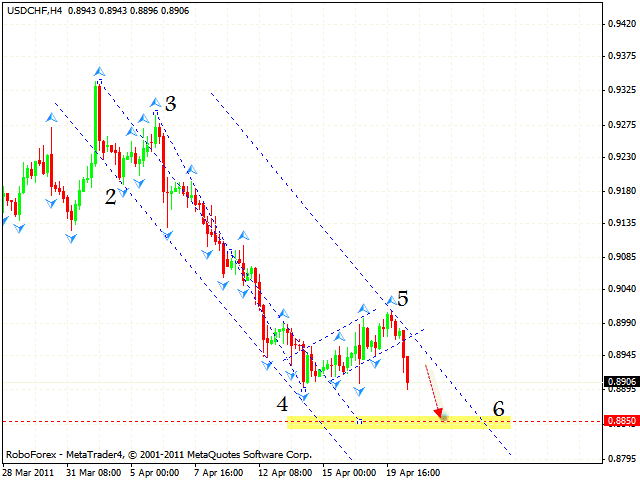 At the moment the price keeps moving downwards into the area of 0.8850. After the price reaches the target and leaves the channel, one can try to buy the pair with the tight stop. Judging by the price structure of the AUD/USD currency pair, we should expect the price to start falling with the target in the area of 1.0025. 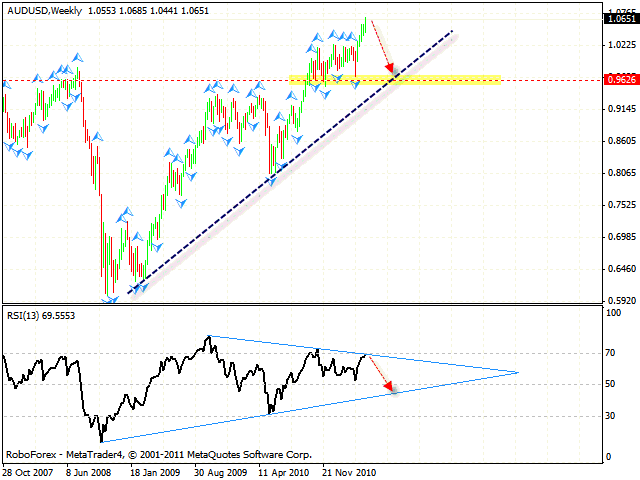 However, one can consider selling the pair only after the price breaks the support line at the RSI. The weekly chart also indicates that the pair might move in the opposite direction. The RSI indicator is testing the trend’s descending line, we should expect the price to start moving downwards. The possible target of the fall is the area where the price is testing the “triangle’s” lower border at the indicator itself. However, one can consider selling the pair only if reversal patterns are formed at shorter periods of time.